We’ve enjoyed warm summer temperatures in Colorado and it’s a perfect time to be out on the water! 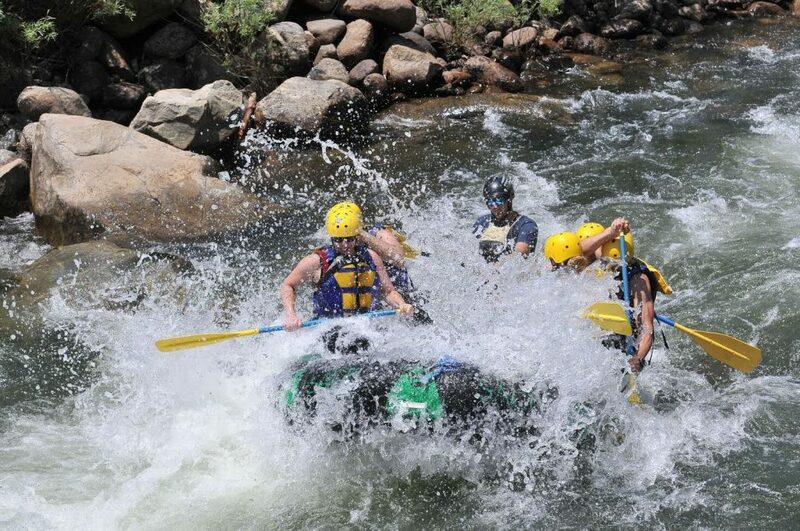 When it’s hot in town and on the mountain, you know it’s time for a rafting adventure! Rafting conditions in central Colorado are awesome. While the local news loves reporting about dry conditions and forest fires, we’re enjoying great rafting! The Arkansas and Colorado Rivers are dam-controlled waters with consistent flows and awesome rapids! 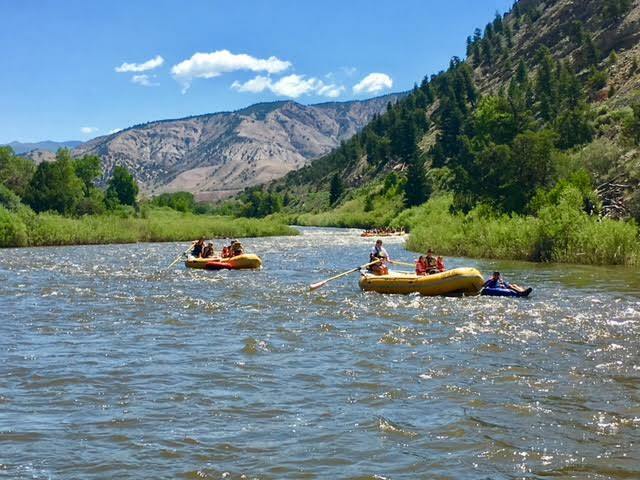 The Upper Colorado River and the Shoshone Rapids in Glenwood Canyon are perfect activities for a hot summer day. We have half-day trips available in the mornings or afternoons, and there’s no better way to cool off. Browns Canyon and The Numbers sections of the Arkansas River are “must do” trips here in Colorado. We have 3/4 and full day trips available on these famous stretches of the Arkansas. Our Float Series rafting adventures are perfect for all ages. These trips on the upper Colorado River travel through beautiful canyons where you’ll enjoy splashing through waves and leisurely swimming holes. We even offer a Ducky Trip, giving you the opportunity to captain your own two-person raft! For more information, check out our Float Series. 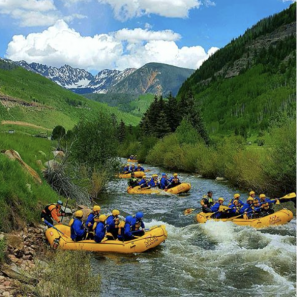 Our Adventures series whitewater rafting trips provide the excitement of rapids and spectacular Colorado canyon scenery. You won’t be able to wipe the grin off your face. These trips are widely varying depending on the season and interests of your group. Find more details on our Adventure Series. 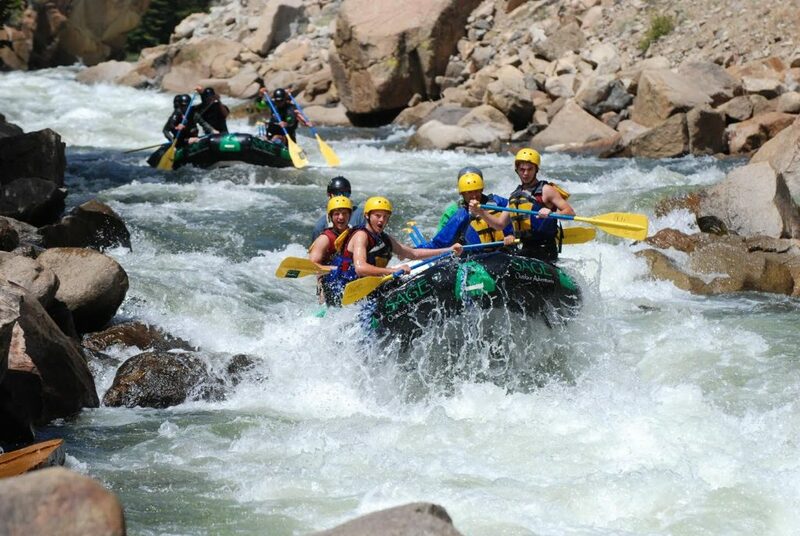 Our Adrenaline Series trips offer some of the best nonstop action on the most well known stretches of whitewater in Colorado. 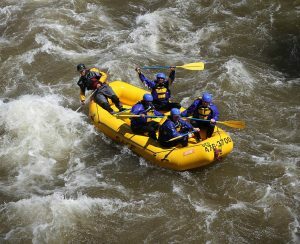 Experienced rafters will tell you that the Numbers and Pine Creek Sections of the Arkansas River are some of the best. Check out our Adrenaline Series. To reserve your dates this summer, call us now at 970-476-3700 or contact us online. It’s hot outside, so let’s plan your rafting adventure! We are pleased to announce a new addition to our team of skilled experts in the outdoor recreation industry. Joe Tomasic has joined Sage as General Manager and will lead the development of several new programs. Tomasic is a long-time Vail Valley local, outdoorsman and entrepreneur. In fact, Sage owners Darryl and Cole Bangert worked closely with Tomasic when they founded Lakota River Guides together more than 20 years ago. “Joe brings decades of operational and work-integrated leadership experience and we’re thrilled to be working with him once again,” said Sage owner Darryl Bangert. A Vail Valley resident for more than 26 years, Tomasic continues to work as a business broker specializing in the sale of resort based businesses, along with niche markets in the software, start-up, outdoor recreation, transportation and oil & gas industries. Tomasic has owned, operated and sold many successful businesses. Additionally, he has provided strategic, personalized counsel to individuals and companies in areas of business sales and acquisitions, private debt and equity financing, and succession planning. With a passion for start-up companies, Tomasic worked with Phil Horsman to build the world’s first large-scale ski rental delivery operation, All Mountain Sports. Later, they built All Mountain Transportation into the largest independently owned limousine service on Colorado’s Western Slope and sold that business in 2008. At Sage Outdoor Adventures, Joe will focus on developing a newly purchased property near Dotsero, Colorado along the Colorado River. This project will include a large, recreation-based facility to serve Sage’s rafting clients, as well as a rental facility open to the general public. Additionally, Tomasic will be working to develop the newly acquired fishing access on the Piney Valley Ranch. The Piney River flows through the heart of the ranch, and Sage Outdoor Adventures is now the exclusive fly fishing outfitter on the property. As Sage continues to grow its services in these areas, Tomasic’s role as General Manager will be to ensure that the company utilizes these resources responsibly, and provides a level of service that sets the bar for all others to be measured by. We are thrilled to announce the purchase of a new property along the Colorado River near Glenwood Canyon. On this new property, we’ve got big plans to build a river outpost called Colorado River Sports (CRS). The new CRS outpost will include a recreation hub for rafting guests, as well as daily river rentals and bike rentals. We’ve operated on this stretch of river for years, enjoying the newly renovated BLM river access point located near Dotsero, Colorado. When a piece of land adjacent to the boat launch became available, we jumped at the opportunity. The land had previously been used as a storage facility and required major renovations. Immediately following the purchase, we began to clean the property and hauled away more than 30,000 pounds of trash and more than 200 abandoned tires. “We immediately received calls from neighbors, thanking us for getting things cleaned up on the property,” said Joe Tomasic General Manager at Sage Outdoor Adventures. The renovation work has already begun and we are excited to open Colorado River Sports. It will serve as a river outpost for Sage’s rafting trips, providing a meeting point and lunch spot for guests. We will be launching several new programs at the site, including daily river rentals. Open to the public, Sage will offer equipment rentals for unguided trips. The available equipment will include stand-up paddleboards, duckies, rafts and tubes. A river shuttle service will be available. Additionally, we will be opening a full service dinning facility at the outpost. This facility will be available to everyone enjoying the area in and around Colorado River Sports. Along with river rentals, we will provide bicycle rentals at the Dotsero outpost. These will include E-bikes, comfort bikes and high-performance road bikes. The rental location offers easy access to the Glenwood Canyon bike path and many other local trails. The leadership team here at Sage Outdoor Adventures includes serious bike enthusiasts, who are chomping at the bit to expand our cycling program. Owner Cole Bangert is an avid biker and competed professionally on the World Cup Downhill Circuit. Cole represented the US at three World Championships in Italy, New Zealand Scotland. Sage General Manager Joe Tomasic is an accomplished bike mechanic and has nearly a decade of experience in the cycling industry. River and Bike Rentals will be available beginning in June 2018. The Dotsero facility will officially break ground in the fall of 2018 and is scheduled to be completed by the spring of 2019. For more information about our adventures, please explore the rest of our website. If you’d like to book a trip, ask questions or check availability, please contact us online or call us at 970-476-3700.